Batman fans check this out! 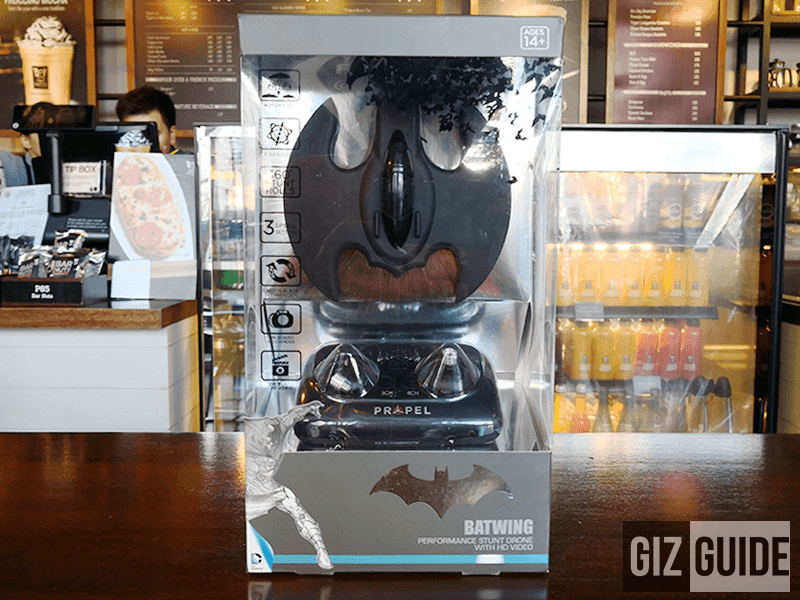 Lazada just announced that the Batwing Drone with "HD Camera" is now available in the Philippines. The Batwing Drone is a tiny drone that looks like Batman's drone. It's made out of "durable" lightweight plastic frame with Unique switch-blade technology that allows users to operate in 3ch and 4 ch modes. It also has 6 axis gyroscope to keep the Batwing stable while flying. This drone also has a remote control to wireless control the drone, multidirectional controls, and push button 360-degree aerial stunts. The remote control requires 2 AAA batteries, but the drone itself is rechargeable via micro USB. The Batwing drone has a flying time of 6 minutes with 3 type of speed and has a 720p video camera for videos and stils. The package include a the Batwing drone itself, remote control, 8pcs extra propeller, USB charging cable, and manual. It is priced at PHP 3,999 at Lazada Philippines!